Video awards season quickly approaches, and the Golden Globes 2019 will kick start the festivities. On the 6th of January, NBC will air the event, which can be accessed worldwide. If you’d like to watch the 2019 Golden Globe Awards, read on. While the Golden Globe Kodi addon (USTV Now) shown below costs nothing to download, install, and use, the IPVanish VPN is still required in most parts of the world for many reasons. Many Kodi add-ons such as USTVNow are restricted for use in certain locations only. Without the use of a VPN, these geo-restrictions make them unusable. Many ISP these days throttle Internet speeds while their subscribers stream with Kodi. An encrypted VPN hides your online activities, avoiding this intentional buffering. Much of the content found by many Kodi add-ons is illegal to share in some regions. Again, an encrypted VPN makes it possible to watch whatever Kodi finds freely available online anonymously. Many Kodi addons are targeted directly by several ISP. This renders live streaming with Kodi nearly impossible without the protection of a secure VPN. In order to watch the Golden Globes on Kodi, you’ll first need to create a free USTV Now account. Carefully follow the instructions outlined below while connected to the USTV Now site from a VPN server located outside of the US. Visit the USTV Now website and click the SIGN UP button in the site’s top menu. You’ll end up on the USTV Now registration page. Simply provide your email address then click SIGN UP. Do not use Facebook or Gmail options. Click Continue on the following page. Choose a password and type your first and last name. Then, select your country, but do not choose the USA. Click the checkboxes for I am a U.S. citizen and I agree with terms and conditions. Check your email for a confirmation message and confirm the USTV Now account. Feel free to use this USTV Now account to watch all the free live TV on US channels using any device you stream with. Watch free TV on your Mac, Windows PC, iPhone, iPad, Android TV box, Roku, Firestick, or even an iPod Touch or Apple TV with your new USTV Now account. You’ll need to install the free USTV Now Kodi addon from the official repository to stream PBS, CW, ABC, FOX, CBS, and NBC live on Kodi. 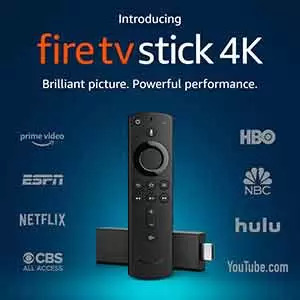 The streaming TV is available free of charge once you have this addon installed and are accessing the broadcasting networks from outside the US. Launch Kodi and click the Addons menu item. Click the Addon browser icon (aka Package Manager) above the left menu. Within the official Kodi Add-on Repository, click on Video Addons. Scroll down and click on USTVNow then the Install button. Once you see the USTVNow Addon Enabled notification, your addon is installed and ready to set up. Back on the Kodi home screen, click the Addons item once more. This time, click Video Addons. Open the USTVNow Plus addon. Sign in using your newly created USTV Now account. Choose Live TV and then NBC. Go ahead and watch Golden Globe Awards 2019 free live on Kodi now. You just have to wait for them to be aired on January 6 and bypass the geo-restrictions with your IPVanish VPN app. Another way to download the official USTVNow add-on to install it is by visiting https://kodi.tv/addon/plugins-video-add-ons/ustvnow. You’d then need to install it on Kodi by clicking Install from Zip File rather than Install from repository when in the Kodi Addons browser. Set it up just the same as above with your new USTVnow account and enjoy watching the 2019 Golden Globe Awards live free on Kodi. These will be the 76th annual Golden Globe Awards, held Sun, Jan 6 at 5:00 PM PST and streaming live worldwide from The Beverly Hilton in Beverly Hills, California with hosts Andy Samberg and Sandra Oh. Even if you don’t have the channel streaming the award ceremony, a VPN will allow you to access live streaming coverage of the show. Your location doesn’t keep you from watching the Golden Globes when you use a VPN to look like you’re accessing the internet from someplace else.